Which Airline Has the Best Frequent-Flyer Program? Even though you can’t technically be addicted to travel, there are some people who are still obsessed with one aspect of flying: frequent-flyer programs. You know, those folks who would literally take short flights anywhere just to score enough miles to gain Super Platinum MVP Elite status. But now that almost every major US airline (except Alaska and Hawaiian) has switched to a revenue-based program (where points are generated not on miles flown but by ticket cost), the differences between frequent-flyer programs has grown. At one time, almost every airline gave members a free ticket at 25,000 miles; today, it's much more complicated. And knowing which airlines offer the best rewards is tricky. That's why the money-saving mavens at CardHub, a site dedicated to helping match consumers with the right credit card, crunched some numbers to find the best (and worst) frequent-flyer programs among the 10 major US airlines. Their study used 23 key metrics -- including number of daily flights, value earned by each purchase, extent of blackout dates, miles expiration, and ease of achieving elite status, among others -- to calculate a final score based out of 100. And they did so for three levels of traveler: frequent (people who spend an average of $5,743 annually on travel), average ($3,105 per year), and light ($407). Why the difference? Probably because Alaska and Hawaiian Airlines, as mentioned, still credit members for how far they travel, not how much they spend; so, catch a cheap flight from New York to Honolulu and you’re almost halfway to a free trip. The only major airlines with miles that don’t expire are Delta and Jet Blue. Spirit's miles, on the other hand, expire after a meager THREE months of inactivity. No joke, three months. It's no wonder consumers HATE Spirit. American, JetBlue, Frontier, and Hawaiian don’t award miles for flights that include layovers. 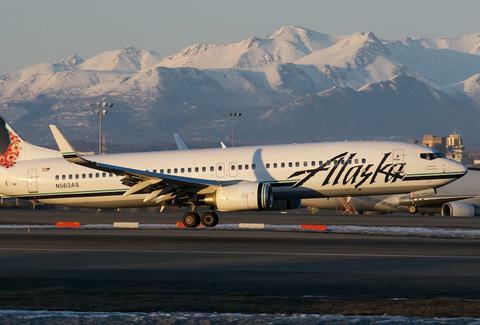 United, Alaska, and Frontier are the only airlines who still have “blackout dates” for award travel. Spirit rated lowest for all three types of traveler for value per $100 spent, offering as little as $3 for light travelers. Alaska rated the highest at nearly $15 per $100 spent. Spirit was also rated lowest in overall quality for frequent and light flyers, while Frontier was dead last for average travelers. Seven of the ten largest airlines participate in partnerships where you can earn miles on other airlines you fly. To see the full breakdown, click here. It also includes a nifty calculator that allows you to type in how much you spend on airfare annually to determine which airline's program is best for you. Not that any of it matters when you book based on cheapest fare, but who knows, sometimes loyalty can have its perks. Matt Meltzer is a travel writer with Thrillist and has been an Alaska Airlines Mileage Plan member since he was 11. Follow him on Instagram @meltrez1.